Julie Nelson is a CG character animator. Nelson had majored in painting during college, and was introduced to animation by her teacher Arch Leean, a former Disney animator, who encouraged her to pursue animation when he saw the energy and movement in her style. Worried that painting would not be a viable career, she applied Sheridan’s 2D animation program after graduating college and was accepted. While at first very insecure and unfamiliar with the process, she quickly learned to use observational skills and became enamored with the medium. Her first job in the animation industry was at Reelworks in Minneapolis, where she worked as a cel painter between her school years. Her first project was a TV ice-cream commercial. She then interned at another Minneapolis outfit, Windlight Studios, a 3D animation studio. Nelson says she knew nothing about computer animation before starting the internship and learned much from Windlight. After college, Nelson was hired as an animator at Industrial Light and Magic, based on a demo reel of 2D pencil tests for Sheridan and 3D tests that she had done at Windlight. Her first live-action project was Dragonheart (1996). Nelson credits her work in small commercial studios, where she had the opportunity to be involved in all stages of animation production, for gaining the experience necessary for getting hired at ILM. But while she enjoyed creature work for live-action, and misses the smaller teams of live-action films and the collaboration with the lighting and special effects departments, she wanted to do character acting and moved to fully animated filmmaking. Nelson began at DreamWorks Animation in 2003 and was the lead animator for Roxanne Ritchie, the female lead in Megamind (2010). Nelson started working on the character in pre-production, during which she animated several tests for Roxanne and created a face library. 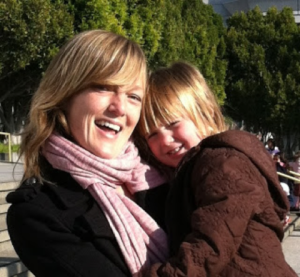 Julie Nelson currently works at Pixar Animation Studios and lives in San Francisco with her husband, son and daughter.